The final major segment of the Tampa Riverwalk will open to traffic at the end of this month. It will be the newest piece of Tampa Bay&apos;s embrace of the Hillsborough River, which flows through the middle of town and and meets the sea beneath the city&apos;s downtown skyscrapers. For nearly two centuries, the river was a working river -- with docks and industry right on the water&apos;s edge. Standing a few blocks inland, it was easy to forget the river was even there. But all that has changed. Today, Tampa Bay is embracing its river. Festivals regularly fill Curtis Hixon Waterfront Park. Annual events like April&apos;s Tampa International Dragon Boat Races and winter collegiate rowing tournaments take advantage of Tampa Bay&apos;s waterfront. Paddleboarding, e-boats and water bikes are all part of the new river equation as well. 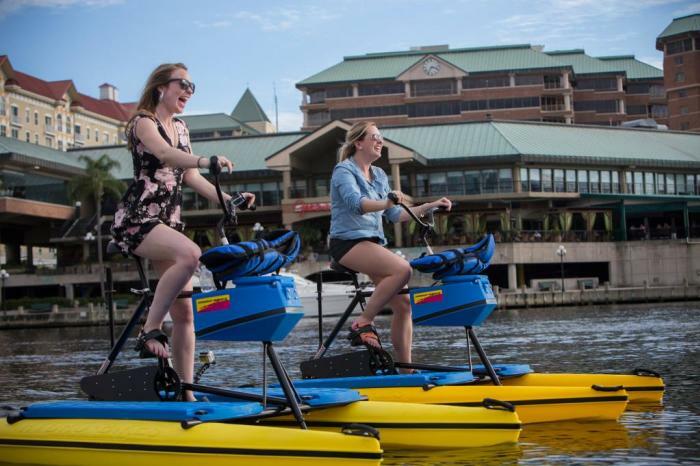 As the Tampa Tribune reports this morning, Tampa Bay&apos;s love of its river and waterfront has inspired new businesses and new ways for visitors to unlock Tampa Bay. Donna Chen, marketing and communications director for the Tampa Downtown Partnership (@tampasdowntown), tells the Tribune this as just the beginning. The Tampa Riverwalk&apos;s quarter-mile Kennedy Boulevard Plaza segment is set to open March 27.